The South Fraser Blog: This year 681 young people experienced homelessness in Metro Vancouver, 16 in Langley. 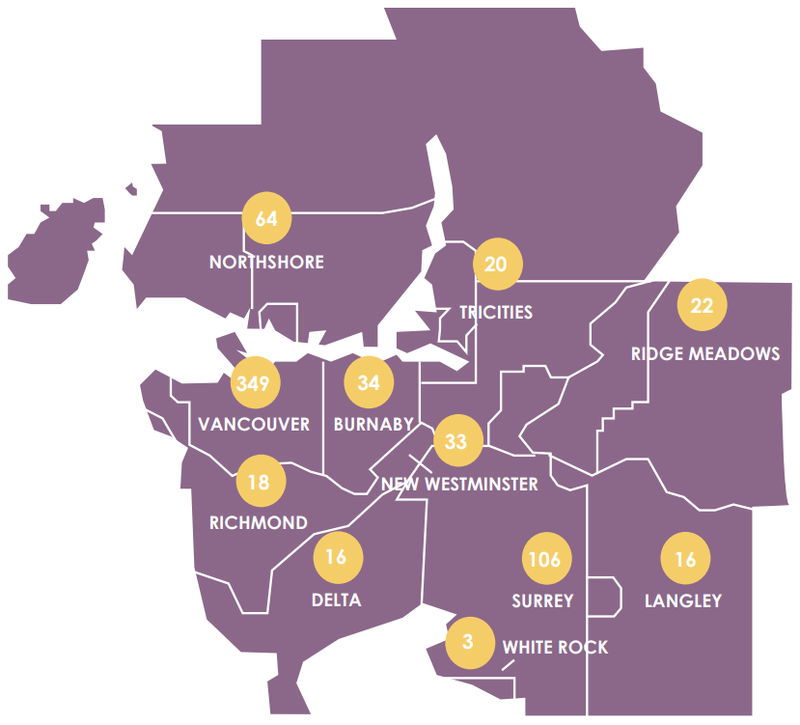 This year 681 young people experienced homelessness in Metro Vancouver, 16 in Langley. In Canada, there are many individual factors and societal factors that lead people to experiencing homelessness. Federal, provincial, and local governments need to work together to reduce the pathways that lead to homelessness, and increase the pathways out of homelessness. While this should be done for people of all ages, I believe that extra attention should be given to reducing the number of young people (up to age 24) who experience homelessness. 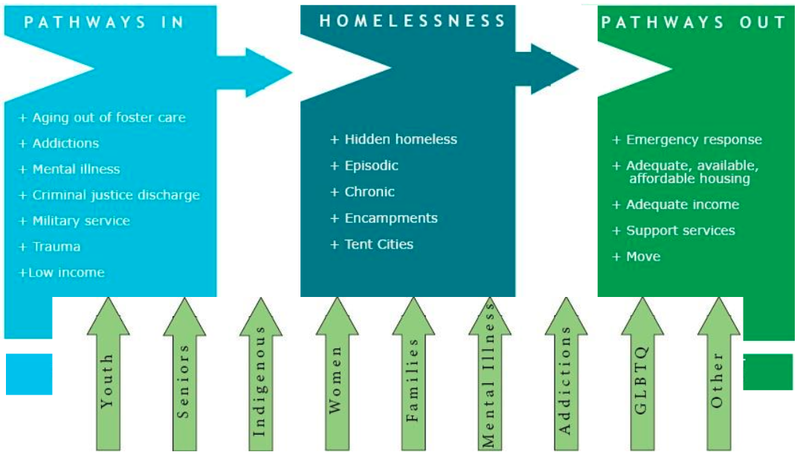 Regional Homelessness Conceptual Framework: A Mental Model. Select chart to enlarge. Source: Metro Vancouver. Education is key to providing opportunity for people. If you do not have stable housing or food, your ability to learn in significantly diminished. This could lead to a lifetime of experiencing homelessness. The Metro Vancouver Community Entity, a partnership between Metro Vancouver and the federal government, recently released the 2018 Youth Homeless Count. 681 people up to the age of 24 were identified as being homeless. In Langley City and Township, 16 young people were identified as experiencing homelessness. The report authors note that this is an underestimation as there are many people who are “couch-surfing”, staying with friends or strangers, that are not connected with youth support service agencies, and therefore cannot be counted. Unaccompanied Youth and Accompanied Children by Municipal Sub-Region. Select map to enlarge. There are certain people groups that are over-represented in the youth homelessness population. 42% of people identified themselves as Indigenous. 26% of people identified themselves as LGBTQ2S. Extra attention is needed to reduce the number of Indigenous and LGBTQ2S youth from experiencing homelessness. More than half of young people experienced homelessness for the first time because of a family conflict. I’ve personally heard too many stories about a young person being kicked out of their house because they came out to their parents. Mental health and substance addiction were also leading causes for young people to become homeless for the first time. There are gaps in the healthcare system that need to be closed to help young people and their family get support and treatment services. Ending youth homelessness should be a priority for all governments. In Langley, Encompass Support Services Society recently opened the Youth Hub. One of the services of that facility is to provide housing for young people. While this is a good start, I believe that more beds and support services will be required throughout Langley. Providing stable housing, meals, and support is not only the morally right thing to do, it is the fiscally prudent thing to do. When someone is homelessness, it costs society at least $66,000 per year. Providing housing and supportive services costs up to $18,000 per year. Providing affordable housing cost up to $8,000 year. Preventing a lifetime of homelessness for a young person means giving them a lifetime of opportunity. It also saves millions of dollars per person in societal costs.